History: The Saiyan race was originally a race of giant ape-like creatures that roamed the planet Sadala however, when one ape gained enough consciousness to control his self he under went a transformation into a humanoid like being with a monkey tail. The others soon followed and gave birth to the Saiyan race known now, the race began breeding and forming clans which in time started a planet wide war for dominance. 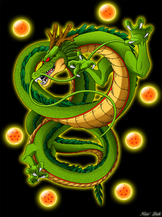 The race is now part of the Saiyan Royal Army controlled by the winning clan lead by a warrior named Tarble. 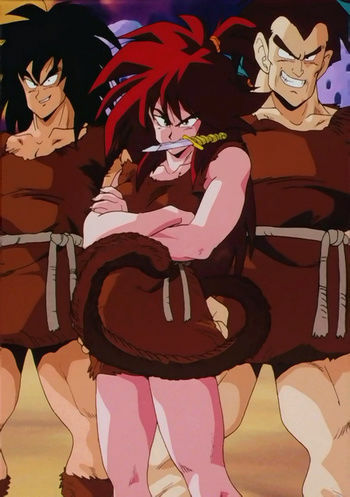 Appearance: Saiyans are humanoids that resemble the humans seen on planet Earth, with the exception of their ape-like tails they are born with. Most Saiyans are born with dark hair and eyes and large muscular builds. The hair of a pure-blooded Saiyan does not deviate from its appearance from the day the Saiyan is born, the exception is that Saiyans can grow facial hair as they grow older. Unique Characteristics: When Saiyans are in battle they gain extra AP when the battle is over, this is determined by the following rate: Receiving 50 damage allows the players to gain 1 extra stat at the end of a battle/fight/spar any additional 50 damage adds another stat.